Things are really coming together over here in the Beehive. And also coming apart a bit. Solin, Sakira and Rebecca working CLOSELY on their morning vitamin. 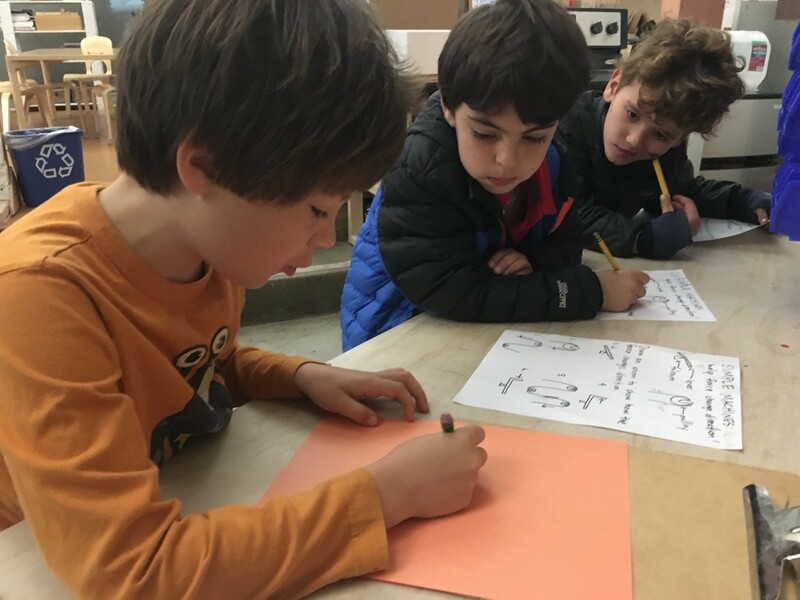 At the end of last school year, as the faculty and staff brainstormed arc topics for the coming year, we were sure about one thing: we intended to spend the 2016-17 schoolyear working hard to weave math skill building work into our explorations. 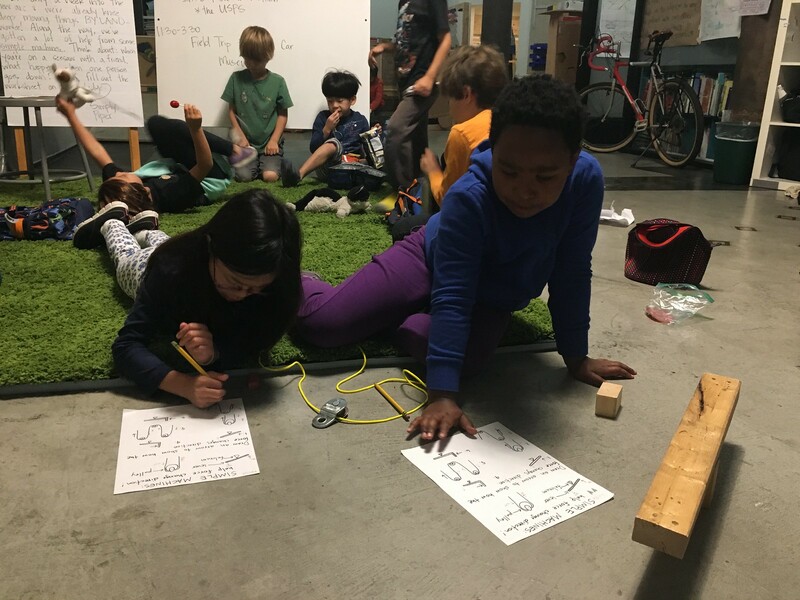 Plus, a few weeks before school started, the lower school team (Mackenzie, Melissa, Nicole, Lisa and myself) spent a week at a workshop at UCDS in Seattle learning about how this progressive, project-based school integrates math in theme-driven provocations. In these first few weeks of By Land, it feels like these intentions are becoming reality over in the Yellow Band. Devlin models an equation with cuisenaire rods. These blocks are an excellent math manipulative, with blocks representing different numerical values in different lengths. Students can line up the blocks to show sums, differences and arrays (for multiplication and division). A few of the important take-aways from this workshop included techniques for incorporating manipulatives into a math practice, ways to encourage skill-sharing and cross-pollination among budding mathematicians, and seeing mathematical reasoning in a wide range of activities–not just computation and arithmetic. So, in the reading I’ve been doing about the history of the Pony Express, I’ve also been taking notes on details that would make great morning vitamins. AKA, Pony Express Math. Oscar models an equation with cuisenaire rods, then builds a proof for his solution. We start with a story: “You were riding across the prairie, your mochila loaded up with 20 pounds of mail, when a strong gust of wind blew open the pockets holding all of the letters! Some mail flew out, and scattered in the tall grasses. You had to stop, and discovered that you only had 13 pounds of mail left in your mochila. How much mail was lost?” Each student models the problem with an equation (or number sentence) in their journal, then uses a manipulative to solve the problem. And don’t forget, you’re not done until you’ve shown your work in order to prove to me that your answer is true! In other words, you must BUILD, DRAW, RECORD. Rebecca and Sakira BUILT the problems on the simple machines worksheet in order to figure out how the lever and pulley would change the direction of force. And they got to use materials from our very own shop! 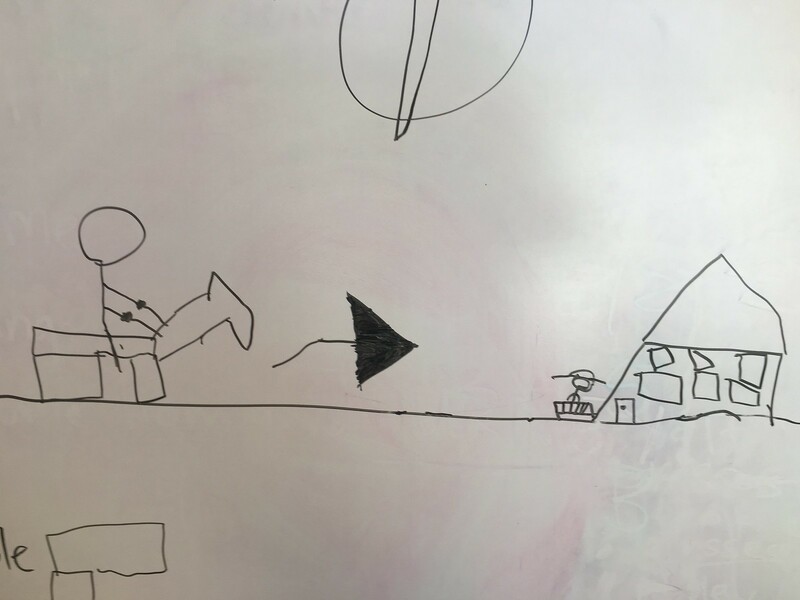 Emilio DREW the story from the morning message, to show his understanding of the Pony Express rider heading from one relay station to the next. Reyahn and Sakira RECORD their work as they go, practicing adding strings of numbers and using the cuisenaire rods to prove their answers. So far, I’m liking the rhythm of this practice. We start one morning with a story and one problem to practice a targeted skill. The next day, the kiddos practice the skill more, often on a worksheet I make with several similar problems. Each day, we wrap up our exploration by sharing our strategies and insights at Morning Meeting. This is a part of the practice that is really important to me, and that our schedule allows us to prioritize. Not only do these nascent scientists need a chance to verbalize and explain their own thinking, but they need to hear the different and divergent opinions of their peers. Because there are many different ways to solve one problem, and by listening deeply to these varied approaches, we enrich our own understanding. Nolan shares his strategy for solving one of the pulley problems with Emilio and Oscar. 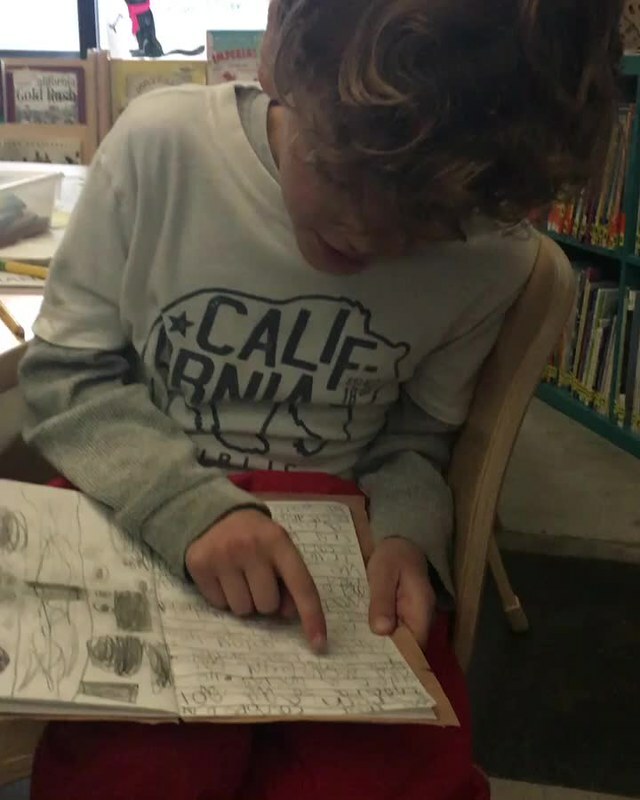 Finally, this blog post wouldn’t be complete without sharing one bit of bittersweet news: a member of our Yellow family is moving on to a different school. Our friend Rebecca will still be an important part of the Brightworks community, we just won’t get to see her every day like we’re used to. We got to send her off today with a sweet letter that the rest of us wrote together, and we’re looking forward to seeing her at community Friday clubs and Expo Nights. Not goodbye, just see you soon. Rebecca made sure to give each of her bandmates a hug this morning! Oh, and families, there’s a surprise in the mail for you! Literally!